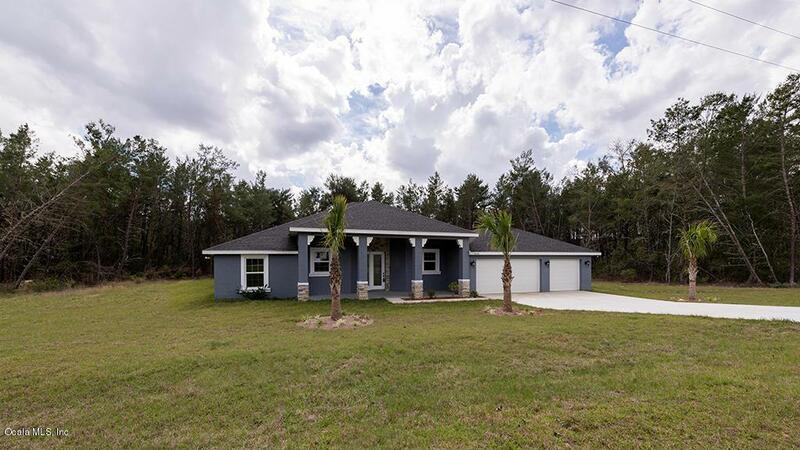 New construction in highly sought after SW Ocala neighborhood. 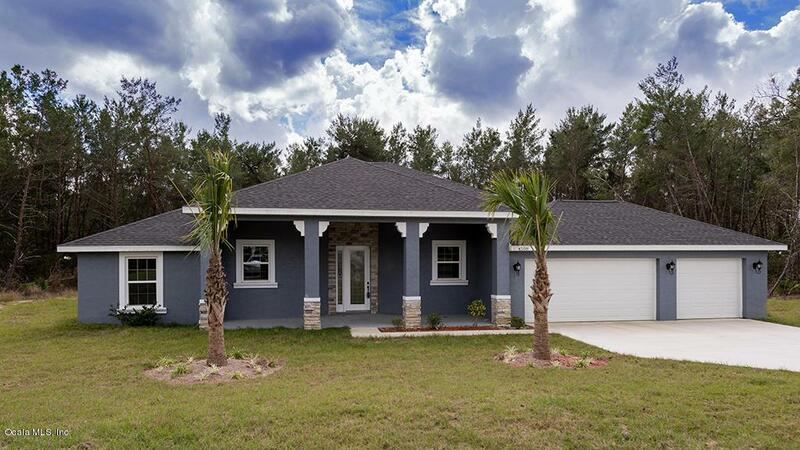 4/3/3 home features designer wood plank tile in main living areas and wet areas. Plush upgraded carpet in bedrooms. Kitchen and bathrooms will have granite counter tops, upgraded white cabinets, stainless steel microwave, dishwasher and range. Triple split floor plan with four spacious bedrooms, plus a den that could be converted into a fifth bedroom. 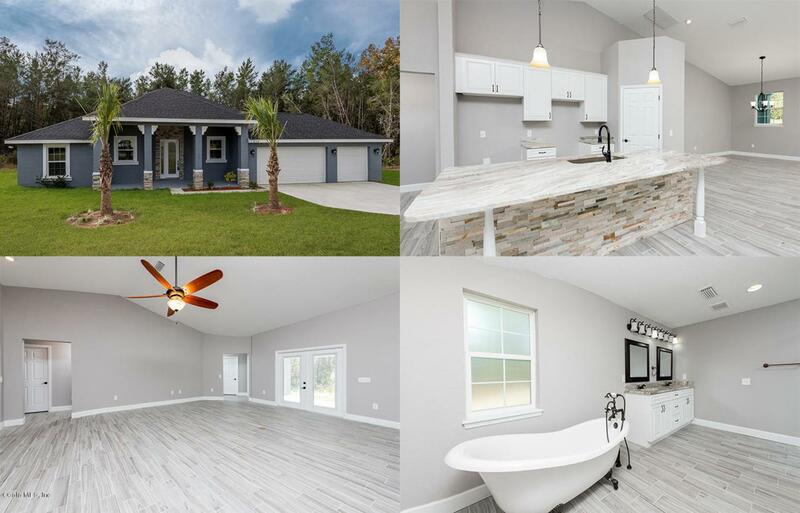 Master suite will provide a huge walk-in-closet, his and her vanities, Jacuzzi tub, large shower with semi frameless glass enclosure, tray ceilings, and french doors leading to lanai. 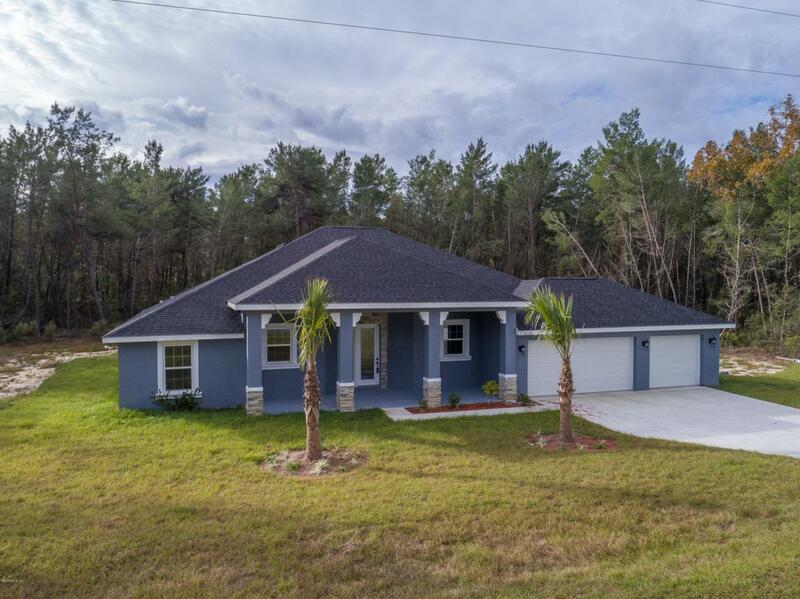 Home strategically placed on half acre. Rendering varies slightly.